19 days until my record release! The countdown continues, and in honor of the holiday we’re going to travel back to the era in which the record was born. 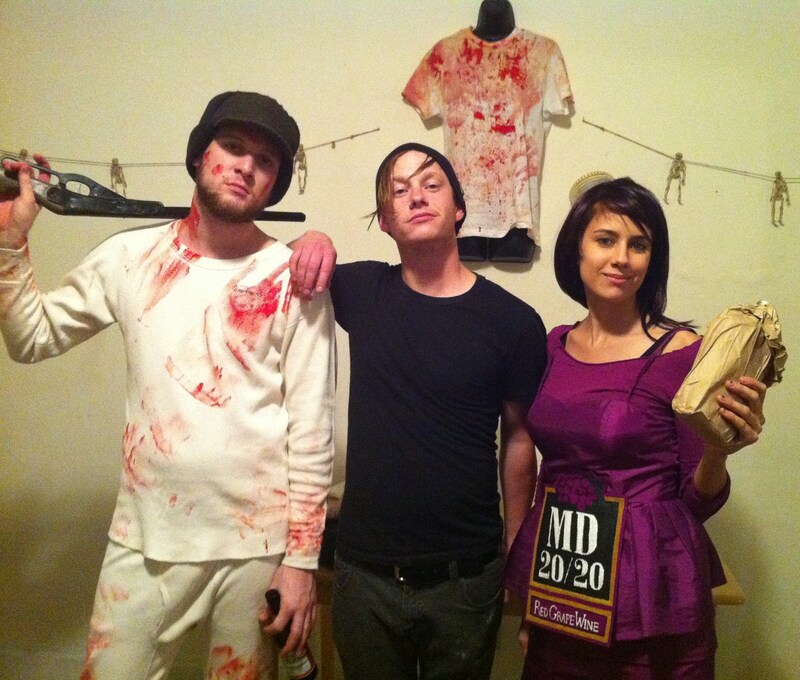 It was an time of bloodstained backwoodsmen in long johns, and bottles of Mad Dog 20/20 that had human, even feminine characteristics: Halloween 2010. Zachary, Kurt and I had recently started playing together as a three piece band, and had just begun tracking Rumors & Legends when we played a Halloween Party at the Sneaky Bandit. Don’t you want to hear what kind of music these three creatures would make? Well you can… IN 19 MORE DAYS!